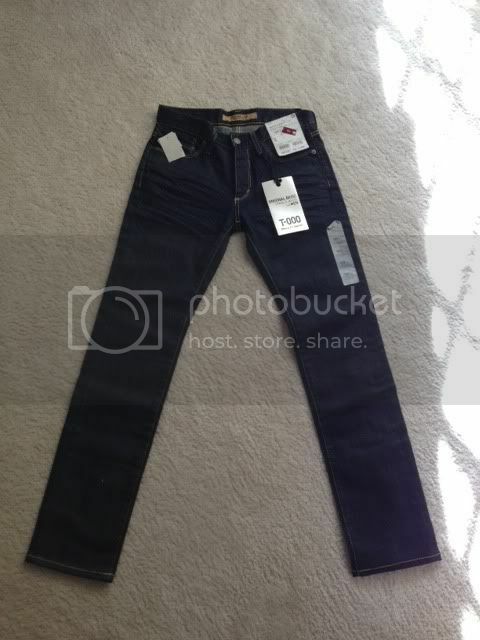 Up for sale is a brand new with tags uniqlo skinny fit tapered jeans (T-000) in sz 29x30. I purchased these in Shanghai and never got around to wearing them. I forgot about them and just recently found them in my closet. I've gained a little weight so they don't really fit me. 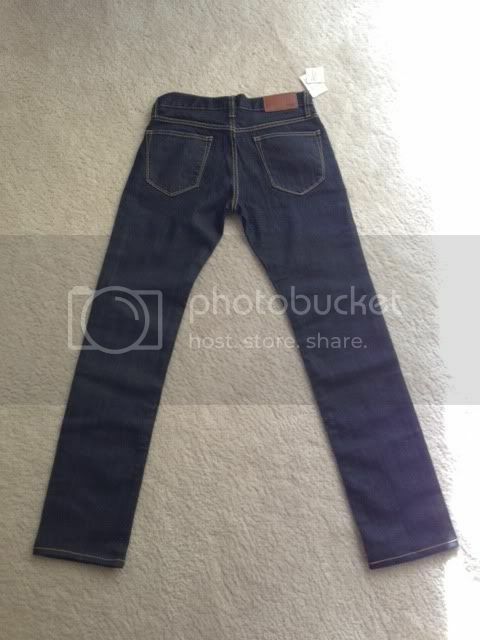 These would be a great fitting pair of dark denim for some of the slimmer guys on dappered. The color in the left photo is more accurate. Pictures were taken with my iPhone. $30 shipped. A steal for a brand new pair of jeans!